And so it begins. SXSW 2012. The first band listing is up. My 10th trip. The plan is the same. Condition the ears, listen to everything. Slice and dice based on sound, venue, distance, and time. And authenticity. Not a lot listed yet. And much will certainly change. But the listing did expose me to a wonderful track by Austin’s Black Books. “The Big Idea” is equal parts psychedelic twist of The Black Heart Procession and Chris Isaaks. Get their ep here. “Lost at Sea,” by Belfast’s Cashier No. 9, channels a radio-friendly West Coast vibe – and is also extremely catchy. Their debut album isn’t out in the States yet but you can still pick it up here. Great tracks also from Spaniards Mujeres and Guadalupe Plate (who I wrote about here). Barring some horrible venue alignments, I will see both this year. The Guadalupe Plata track is from their fantastic new single. And available for free on Bandcamp. More to come as more is announced. 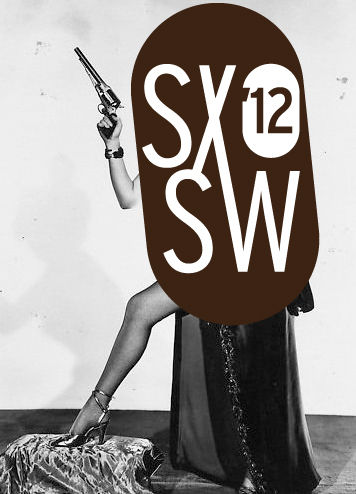 This entry was posted in Music, SXSW 2012 and tagged Bare Wires, Black Boots, Cashier No. 9, Guadalupe Plata, Mujeres, SXSW 2012, The Ettes. Bookmark the permalink.